If you live in the United States, there’s a decent chance you may not know about Davids Tea. While their stores are all over Canada, there are only a handful here in San Francisco, Boston, Chicago, New York, and Connecticut. I was first told about them by a Canadian friend. It could be compared to our version of Teavana, although Davids Tea seems to get better reviews as far as customer service in their physical stores. What does Davids Tea sell? Davids Tea sells a large variety of loose leaf teas such as black, green, herbal, rooibos, white, mate, pu’erh, and oolong, along with many tea accessories and gifts. With over 150 types of loose teas, you are very likely to find a tea that you will enjoy. They have your traditional teas along with exclusive blends, limited seasonals, and what they call exotic infusions. Davids Tea was only founded in 2008 by David Segal who teamed up with his cousin Herschel Segal and started their first store in Queen Street, Toronto, and have grown tremendously over the last few years. They claim that they offer the largest number of organic teas and infusions in all of North America. They also offer tea samplers, so you can experiment and find your favorite tea for your next order. The good news is that Davids Tea does ship within North America, so you can still enjoy their teas even if you live nowhere nearby. Right now, they also offer free shipping for orders over $50. 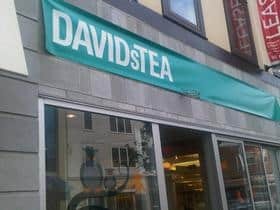 According to Steepster.com, as of today, the 5 most popular teas from Davids Tea are Forever Nuts, Pumpkin Chai, Buttered Rum, Read My Lips, and Chocolate Rocket. The 3 teas with the highest rating were Gyokuro Yamashiro, Matcha Matsu, and First Flush Darjeeling Jungpana. According to Davids Tea itself, there 3 most popular teas are Green and Fruity, Read My Lips and Forever Nuts. You can actually buy all 3 in a gift tea box. Even Oprah said that Davids Tea was now her favorite tea on several occasions when visiting Montreal in April of 2013. Now that is good advertising. Some of their teas do contain artificial flavoring, and Davids Tea does not hide this fact. They include answers to this in their frequently asked questions. They claim that their flavoured teas contain only .001% flavouring. Here is some information on the subject: http://www.davidstea.com/health-faq. You may want to check out the ingredients in any of the teas that you order. Davids Tea just recently announced that 30 of its teas are now Fair Trade Certified, which helps to encourage fair pricing, better labor conditions, direct trade with farmers themselves, and democratic investment of revenues obtained by the Fair Trade farmers. As of right now, each Davids Tea location is owned in-house and there are no franchises. There is also no Davids Tea stock and they do not sell their teas wholesale, but only from their retail locations and online. Please feel free to leave any comments about your experiences with Davids Tea. Overall, Davids Tea appears to get great reviews, and I do not see any reason why not to order from them.